My hunt for bridesmaid dresses started slowly. The problems began when I mistakenly dreamt up a colour which I could not find a name for!! After booking our venue I became fixated on finding a colour that wouldn't clash with the red detailing at Riverdale and also wanted something that was different to other bridesmaids' dress colours I'd seen at weddings of family and friends. After a bit more research (and realising the red at Riverdale wasn't going to dominate our photos and matching with it didn't really matter) I changed my mind and I have picked a completely different colour which I think will be much nicer. I have two very beautiful bridesmaids who both, unlike me, have great style. Trying to choose a dress for them was going to be tough so I decided very early on that I wanted Fiona and Jenny to be involved in the decision making. They have been wonderful! They've had ideas and opinions, and have been very supportive as I've flitted between colours and styles! Their guidance in what they'd be happy wearing has also been so useful. We all thought long dresses would be best since my dress is floor length, and we had a similar idea on what style we thought would match well. The Irish Sea has been the biggest obstacle in the hunt for bridesmaids' dresses. 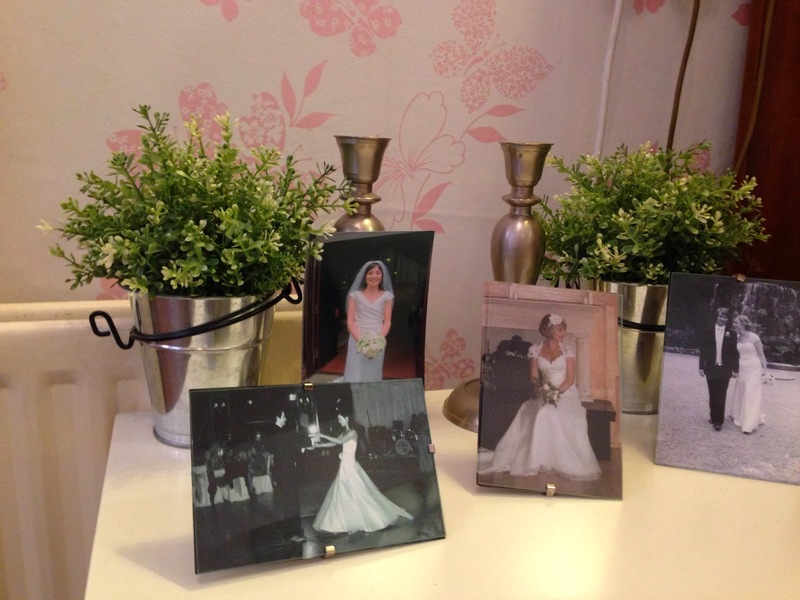 Unlike brides-to-be and bridesmaids who live the the same country, we weren't always able to pop to a dress shop on a Saturday afternoon or even meet up to flick through wedding magazines with bottle of vino. This meant our bridesmaids' dress shopping has been like a blockbuster casino heist: a long time in the planning and perfectly executed in minimum time! My visits home have been short and infrequent because of work but after a lot of online research we'd picked a few different shops we wanted to visit that stocked a selection of different designs for us to try. We chose to visit the Bridal Lounge because they had a particular Dessy dress that we'd all liked (which turned out not to be as nice on as it looked in pictures). This was my first experience of the Dessy dresses. If you haven't heard of Dessy and are hunting for bridesmaid dresses - check them out!! 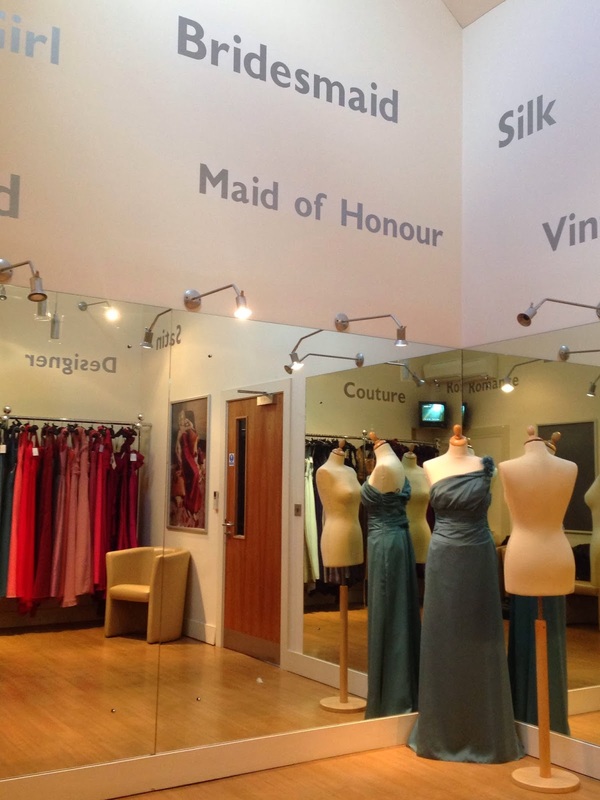 They provide brides-to-be with a fantastic and varied range of dress styles and materials, all available in a huge selection of colours and shades. I had heard that in some cases the price of certain Dessy dresses wasn't reflected in the quality but the dresses we saw were lovely. After getting slightly lost in Limavady, we finally arrived with Adele, excited and aprehensive to try dresses. By now it was January 2014, and Jim and I were getting married in less than 5 months so the pressure was on! We went to the appointment with no particular dress in mind and selected some floaty chiffony styles to try and Adele recommended a few as well. I'm always keen to take recommendations because the dresses can look so different on a hanger. The girls each tried on a different dress and came out together to let me scrutinise them. The first dress Fiona steped out it was absolutely gourgeous. She looked so elegant! I also loved Jenny's first dress, a strapless number, which we'd pretty much decided against - but my eye was constantly drawn back to Fiona's. As the girls came out again and again I kept comparing what I saw with the first 2 dresses, particulary Fiona's. The combination of those two dresses was perfect. The style of Fiona's was exactly the elegant shape I'd imagined for them, and Jenny's was the perfect colour. 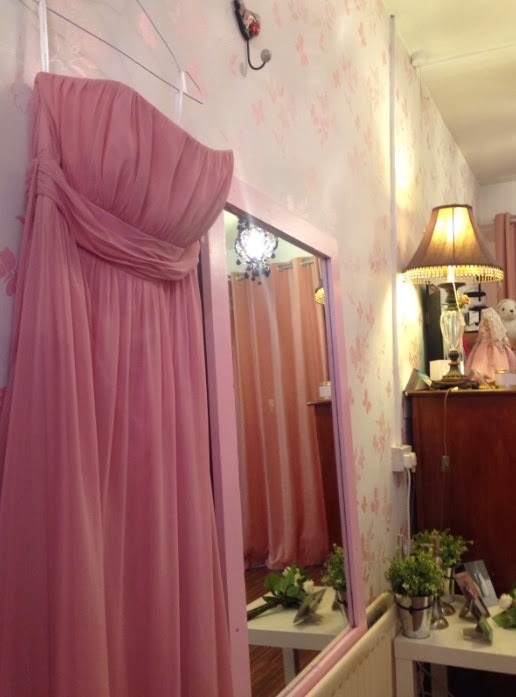 I'd often walked past Dream Weddings before I was engaged and admired the dresses in the window and was looking forward to attending our appointment there. They had a very different selection of dresses to the other two shops, which was great, and the girls tried on some beautiful dresses. One in particular had the most beautiful lace detailing on the back, but unfortunately it wasn't as striking from the front and didn't come in a colour close enough to what I was looking for. I think the lady in the shop was surprised at how quickly we worked through the dresses - but after all our research and the other appointments, we knew pretty quickly if a dress was a Yes, No or Maybe. We took details of a couple of dresses and collapsed in a cafe to discuss what we'd seen. 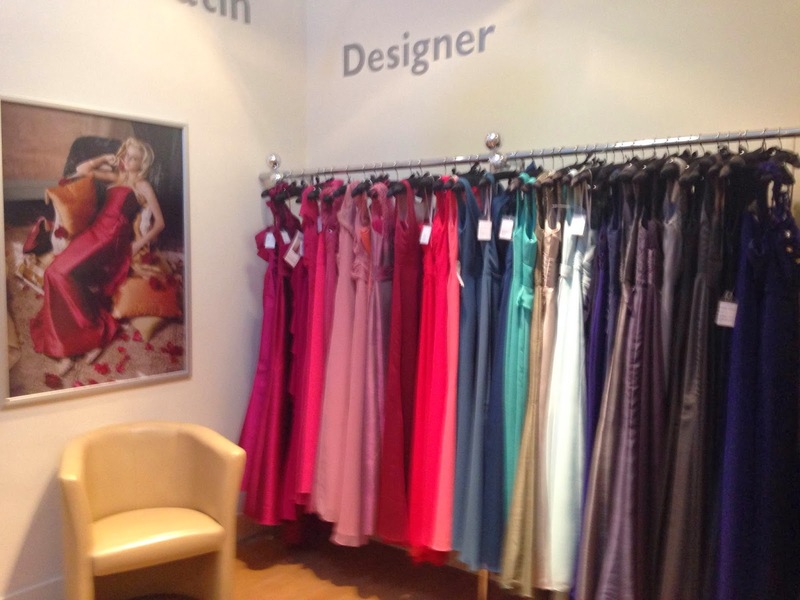 The dresses we've selected are from Ti Amo. I think I can safely tell you that they are by Dessy - they have hundreds of styles so our secret is safe ;) Will you be surprised by the colour? Possibly. Possibly not! :) I love them and the girls will look as stunning as ever!! I'm just excited now for the morning of the wedding and getting all dressed up together! !